I’ve been mega excited about this post and have been waiting for a non rainy day to do up the finishing touches. Finally! 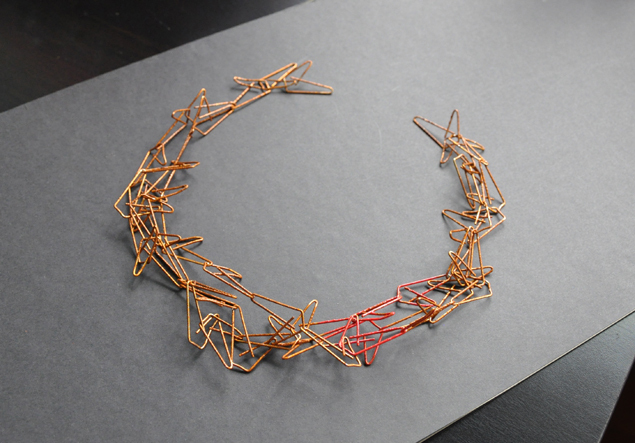 A gorgeous necklace made out of paper clips. 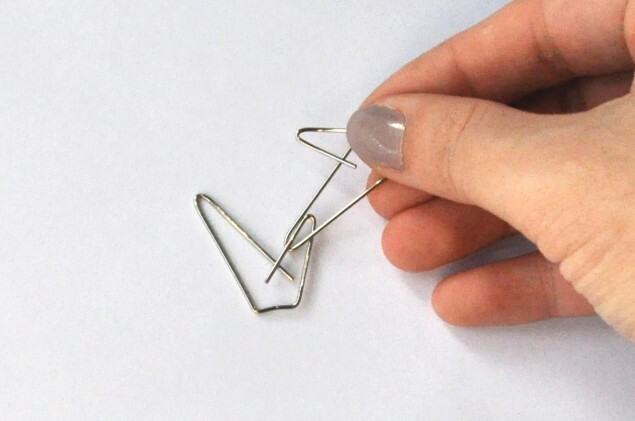 Here’s a simple tutorial on how to make one for yourself! 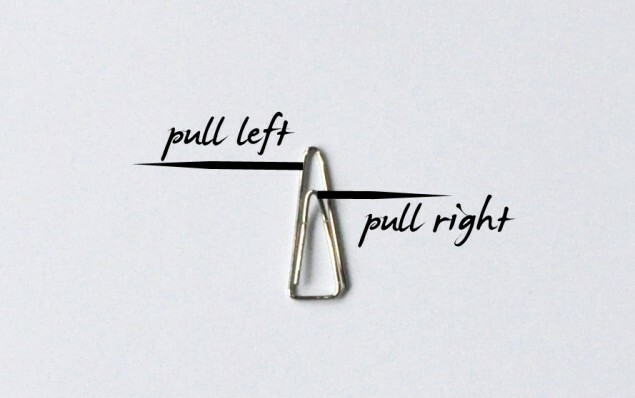 Take a paper clip and pull the larger triangle behind to the left and the front shorter triangle to the right. 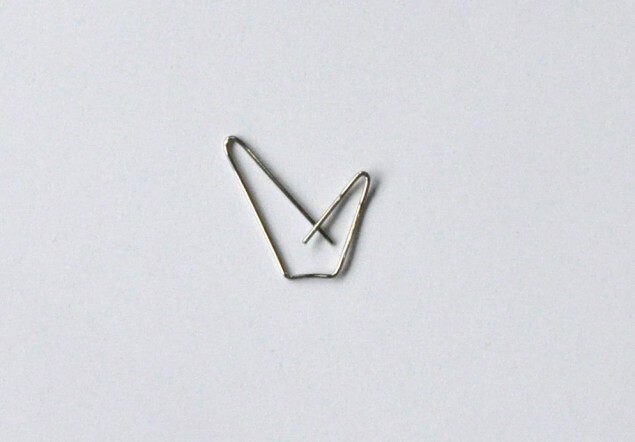 I used triangular paper clips instead of rounded ones partly because I prefer angular shapes and mostly because these were in my desk drawer. 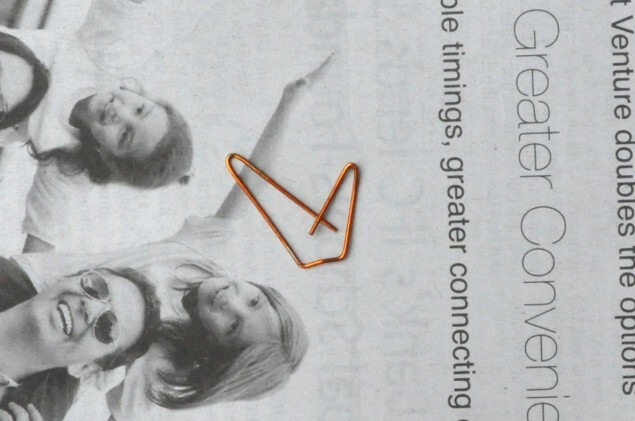 But feel free to try it out with rounded clips too! 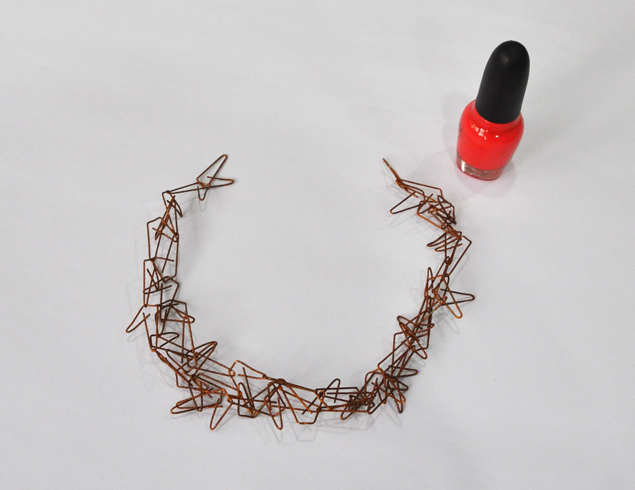 You should get a shape like this, which forms the basic unit of the necklace. 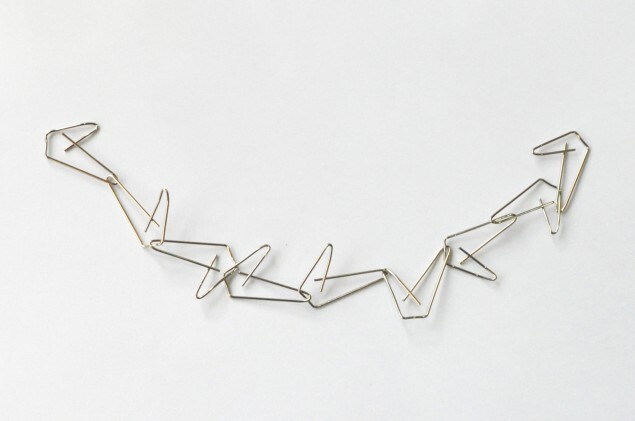 You can make a single chain for your necklace or make a few single chains and join them together towards the ends. For this tutorial I made three chains of varying lengths and joined them together towards the ends. If you love it in silver, you’re done! (Sticking my head in here because I was told my decapitated head in the previous tee-shirt upcycling tutorial looked odd oops.) For more colour options, read on! You can spray paint individual units before linking for better coverage or if you’d like to have different units in different colors. Flip and spray again on the other side. Alternatively, if you’re not picky about perfect coverage and prefer to save time, you can link everything first. 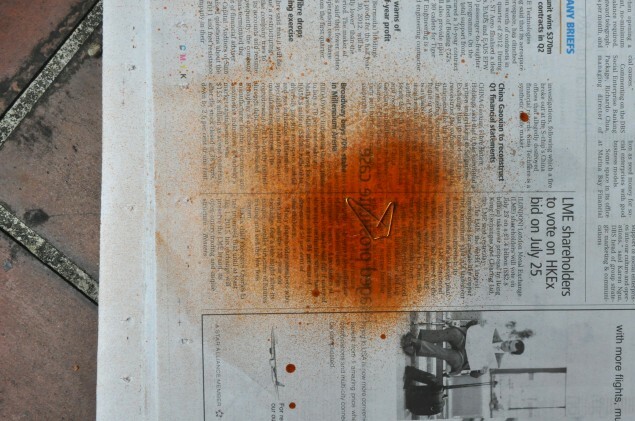 Spread it out on newspaper and then spray it all at once. Remember to flip and spray at various angles! After spray painting, pick it out of the pool of spray paint to dry. 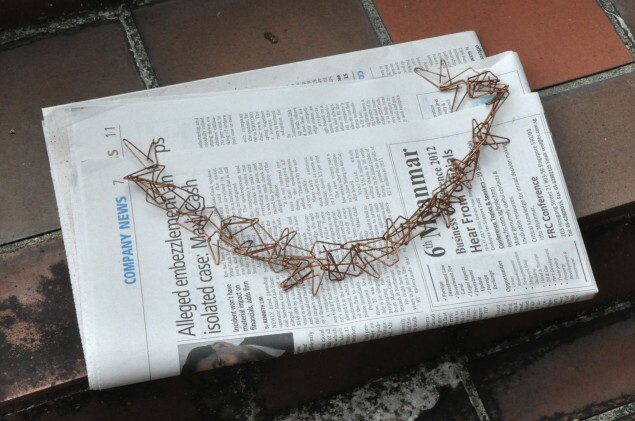 You can separate the chains while wet or keep them together if you prefer a more cohesive chain. 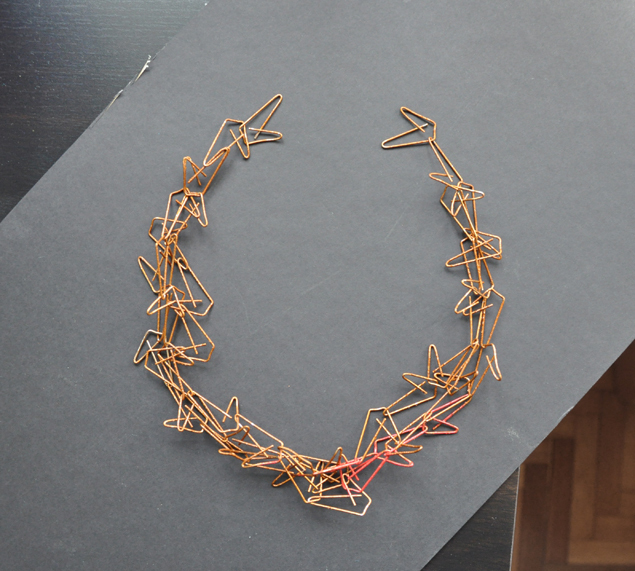 And there you go, your very own paperclip necklace with a dash of color! 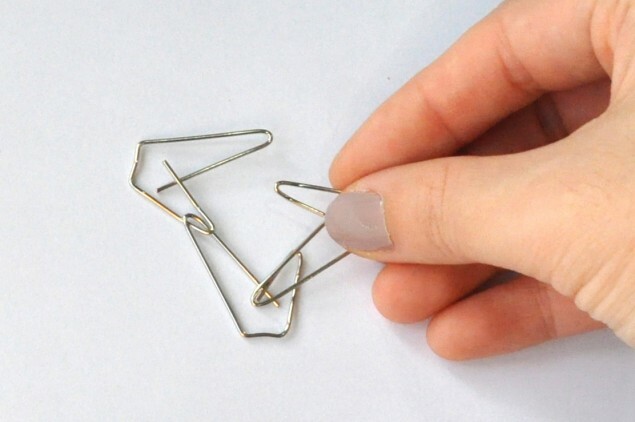 To wear, just slide and snap on the final two paperclip units. It’s so easy to snap on and remove – people should use this more! 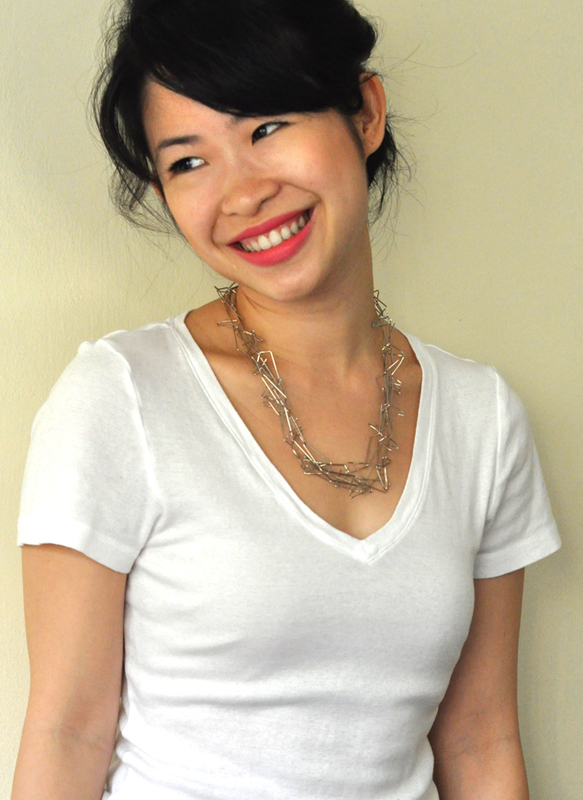 p/s if you want a necklace or bracelet like this but don’t have time to make it yourself, feel free to email me at sayhi@micheleng.com to order a custom piece! Free thank you card designs! Hello! Aww thank you so much for your kind words! :) Would love to see a photo of what you’ve made! This also allows us to apply the highest level of craftmanship to every piece in the Sparkle Jewelry Designs line. to complete them. Do all your family members make an all in one decision about rings based throughout the its druthers.